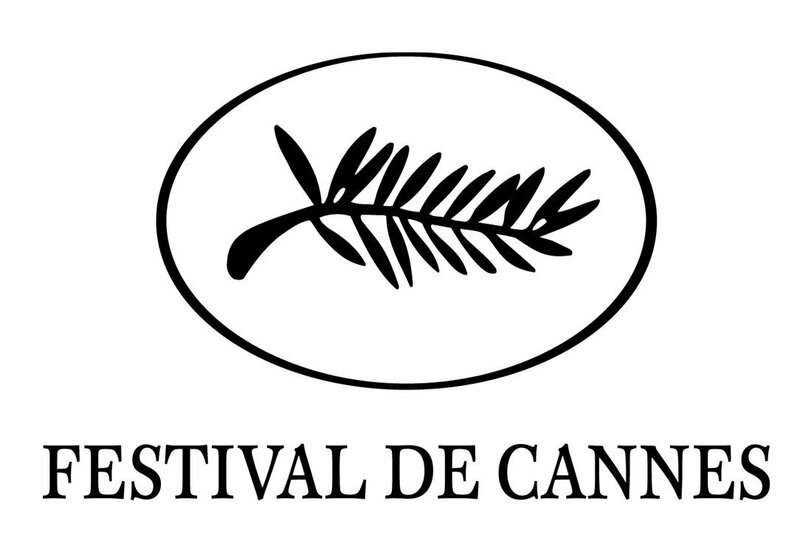 Anything Cannes can do ……..
That’s it, the event which is the Cannes Film Festival is over for another year. The awards have been awarded, the red carpets mothballed and the stars and international media have moved on until it all happens again in another twelve months. However, apart from those winning the awards and the people commenting on it, are any of the general pubic out there actually interested in this annual smorgasbord of glitz, glamour and highly inflated egos. Well it seems – if statistics released last week by media company Way To Blue are to be believed – that a lot of people are. 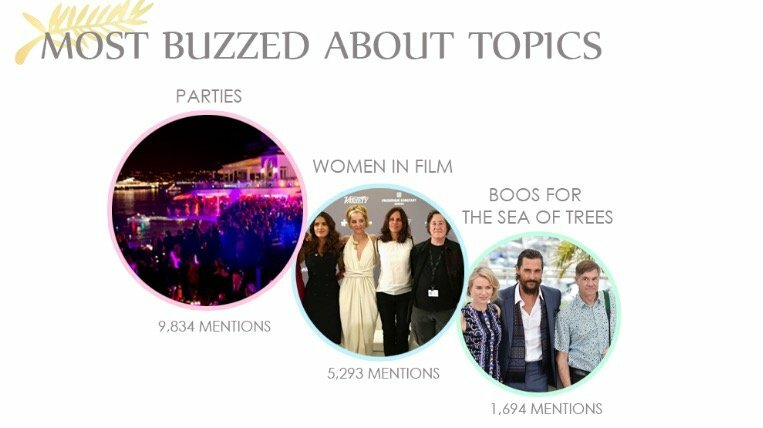 In the first six days from the opening of the festival on the 13th May until the 19th, the social media figures for all things Cannes were, to say the least, impressive. 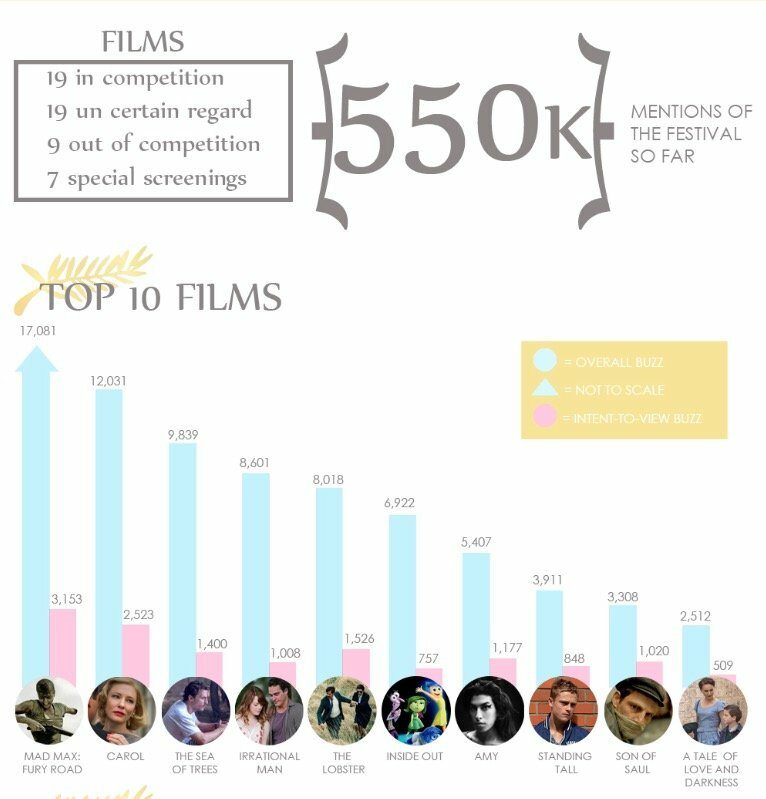 The festival attracted over 550,000 global English mentions in the period with Mad Max: Fury Road the most popular generating 17,081 general mentions and 3,153 Intent-To-View (ITV) mentions. However, as these infographics show, it wasn’t just the films which were being plugged that were causing a stir. 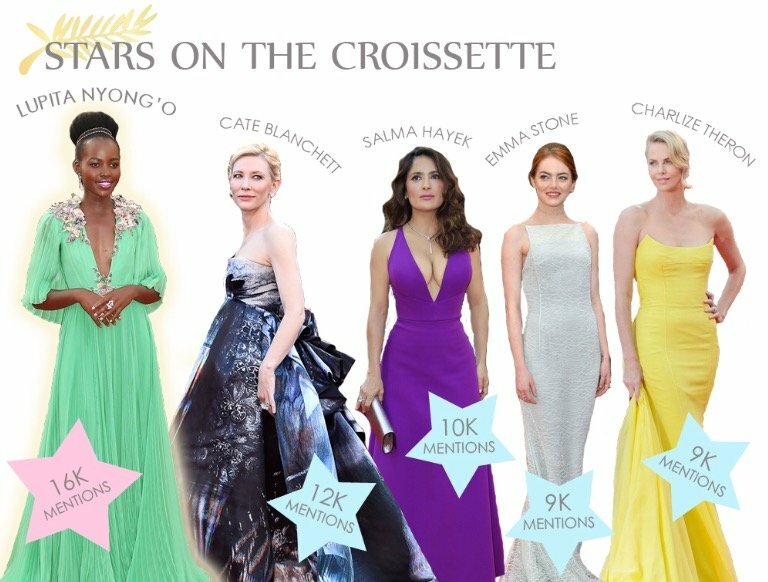 Everything from the parties to the female stars of the latest films were hot topics, proving that social media is now as important a part in the film business as the movies themselves.